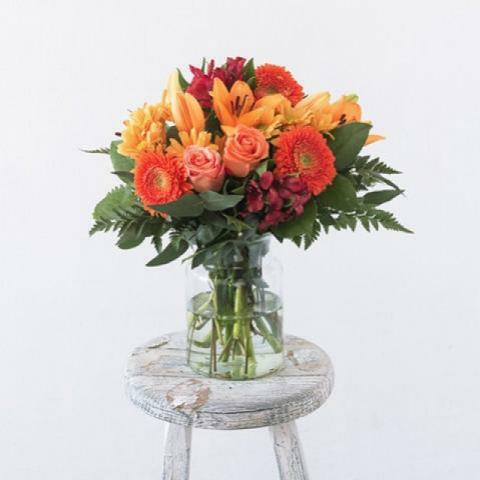 Enjoy this elegant display of orange and peach coloured excellence and the positive vibes it radiates. 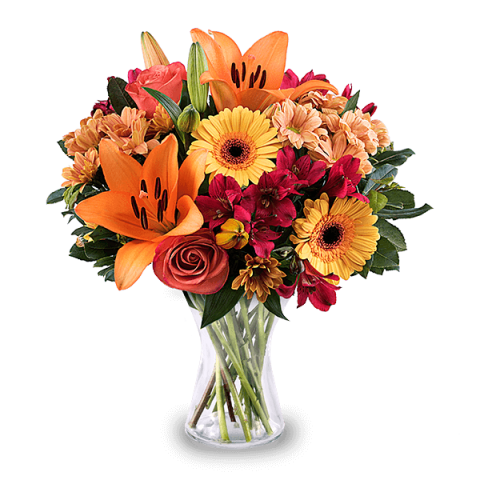 With roses, lilies and alstroemerias displaying these happy peach and orange colours this is the ideal bouquet to share on a happy occasion. 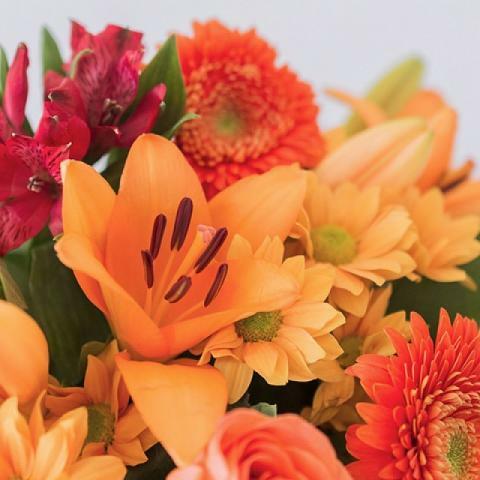 Wonderful service, super beautiful flowers. Perfect! beautiful flowers and amazing service. Product good but issues with delivery. The bouquet of flowers was as beautiful as promised. Thank you ! very good service- does what it says. Was very pretty and top shelf. Petra - a happy customer! Absolutely perfect. Good package, fast delivery. Everything went well! Perfect service, highly recommended. Product so nice, flowers fresh and good smell. Good service. It was really nice. i like them. all in all very fine this time. Transactioin facile et tres bien executée. will use floraqueen again ..